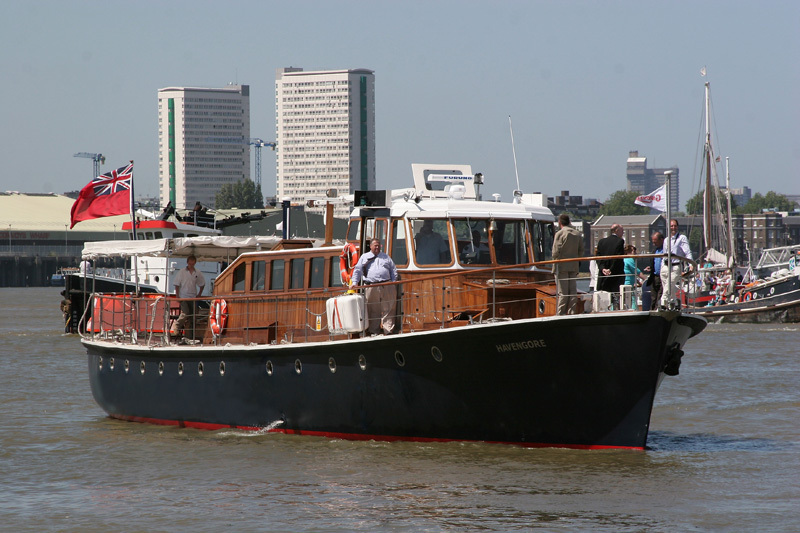 HAVENGORE is a former Port of London Authority survey vessel, built between 1955 and 1956 by Tough Bros. of Teddington to replace the previous ex-Second World War vessel; SHORNE MEAD. Tough Bros. won the contract and built models which were tested at the National Physical Laboratory. 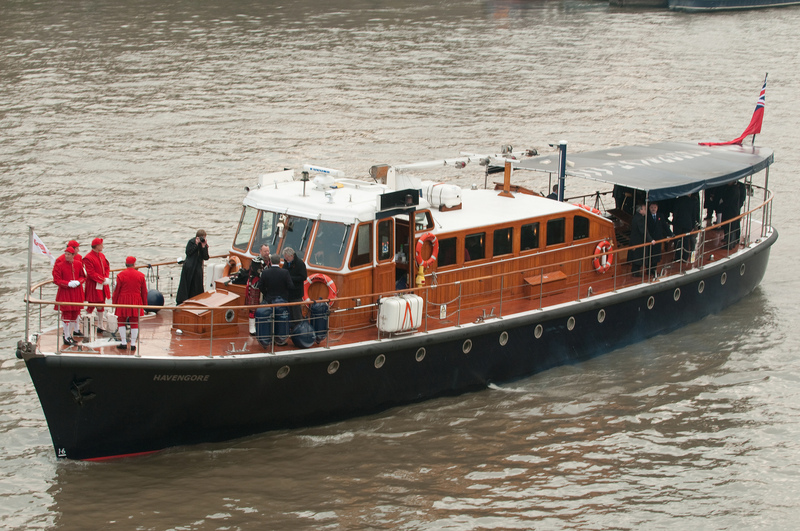 Work began in 1954 and trials took place on 1 February 1956 from Tower pier. 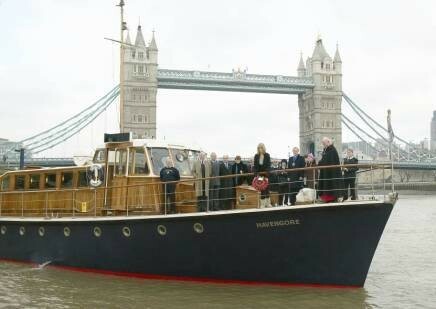 HAVENGORE was moored permanently at Gravesend and served the lower Thames, re-mapping the changing bed of the Thames Estuary. 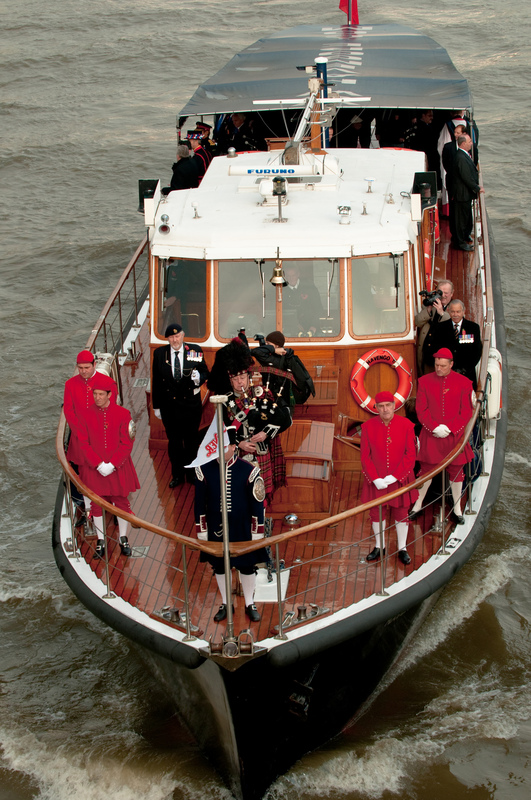 She was the longest serving Port of London Authority vessel, with forty years spent conducting surveys, and was the ceremonial vessel which carried Churchill's coffin in 1965 from Tower Pier to the Festival Pier. 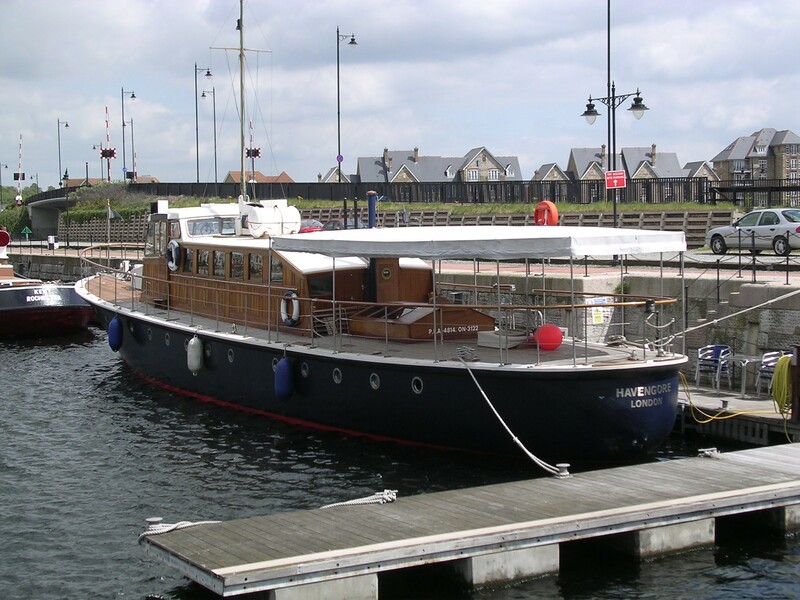 However, by 1995, she had become uneconomic to run and was put up for sale by tender. 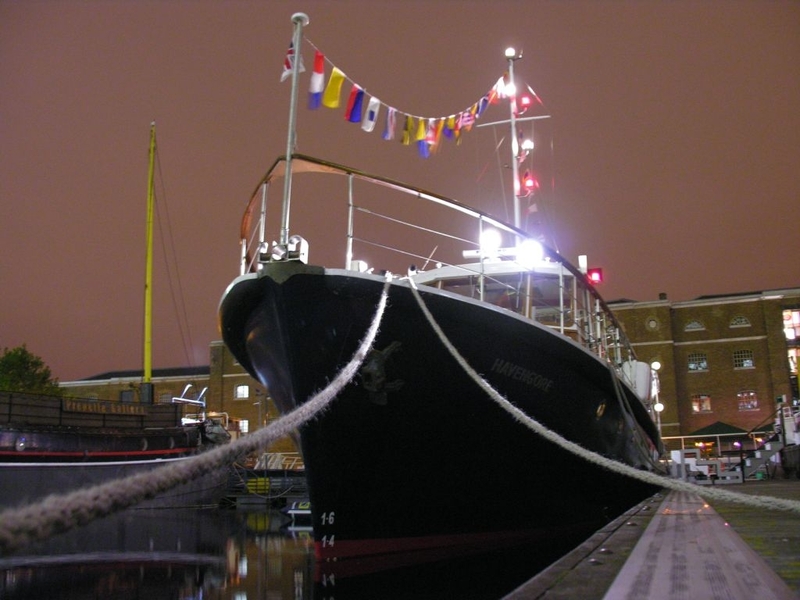 A trust was established in her name and she was moved to Chatham Historic Dockyard where restoration was carried out. 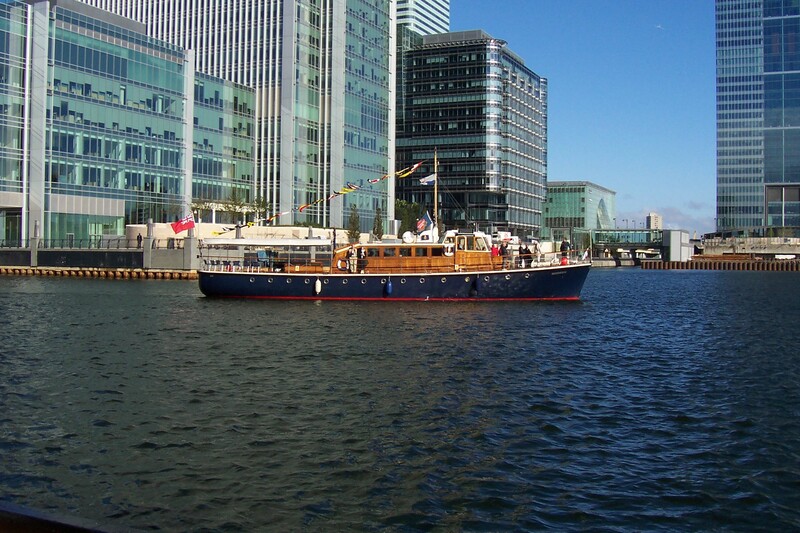 She is now in good condition and is available for private hire and special events. 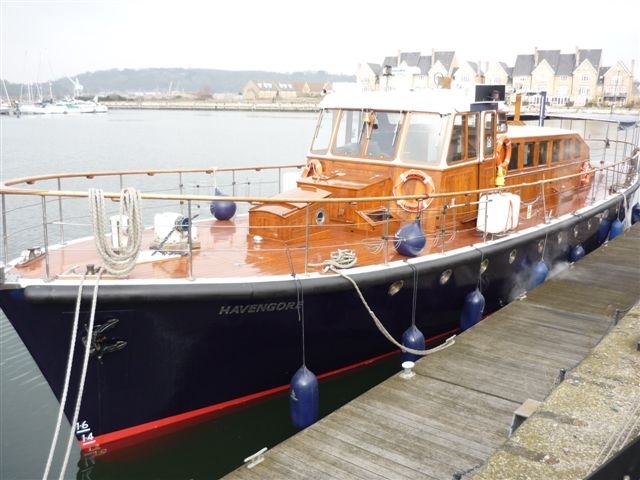 HAVENGORE can sleep ten in the crew’s quarters and has two toilets, washing facilities with a pantry, a well-equipped galley and three cabins. 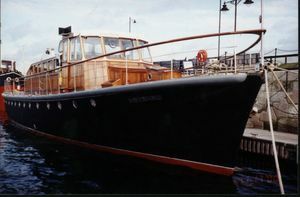 Her hull is diagonally built of teak on oak frames with a teak deck. 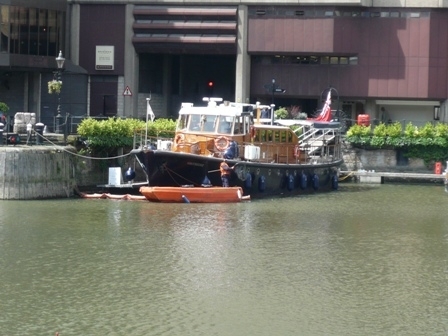 She is fastened with copper nails and roves. 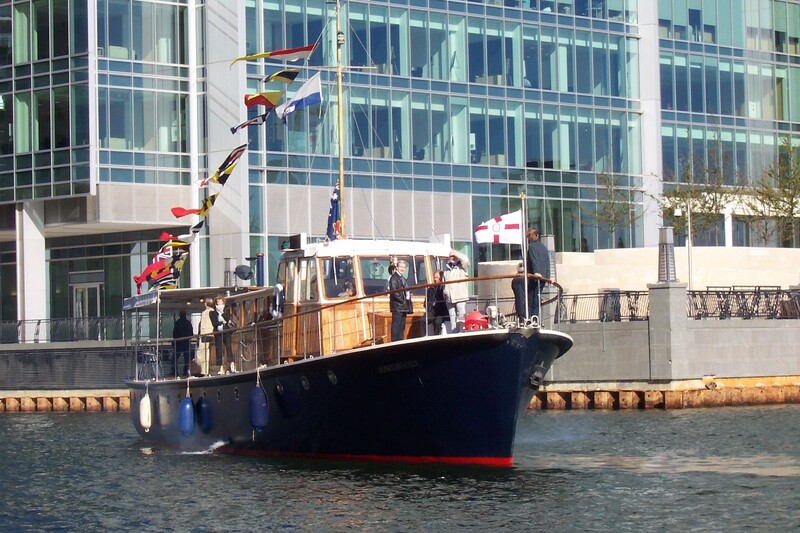 Her bow is pointed with a raked hollow stem and she has a canoe stern, one deck and two timber masts (main and derrick). 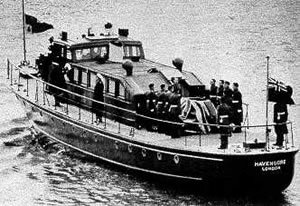 The current engine is an inboard diesel Gardner 8L3, with eight cylinders, producing 304 horsepower at 900 rpm and made in 1955. 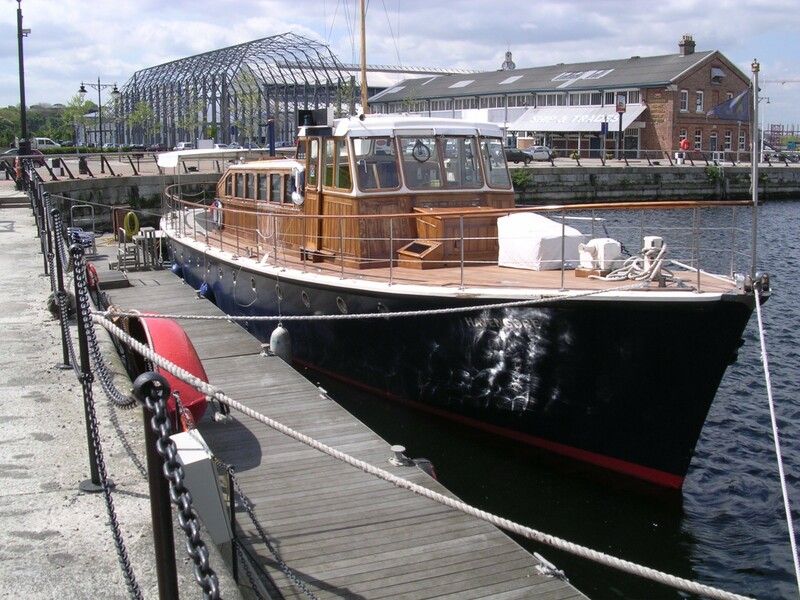 She has all the modern gadgets such as; a Kelvin and Hughes echo sounder, Decca navigator, Pye Radio telephone, Francis search light with interior control, as well as a central heating system, ventilation fans and twin engines with fresh water cooling and Sekre heat exchangers. 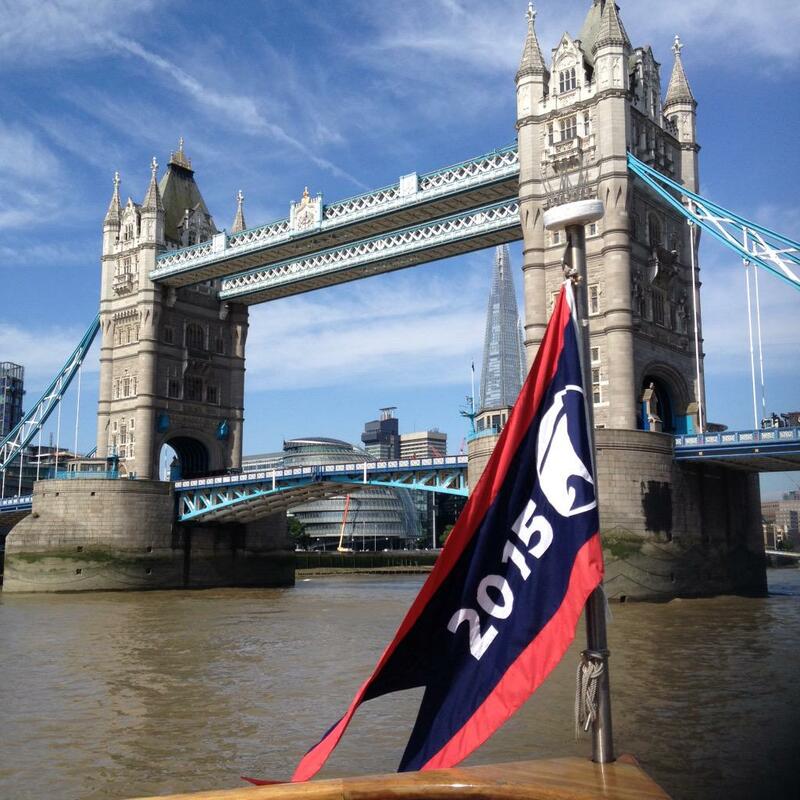 The Mathway steering gear and twin rudders are made for easy handling. 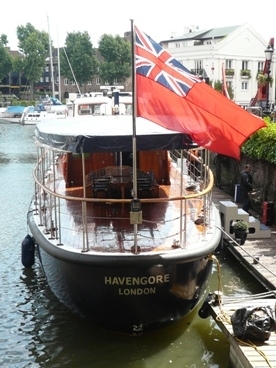 HAVENGORE has been adapted for passenger use, and fitted with an updated electronics package by Swale Marine and Dolphin Maritime Software. 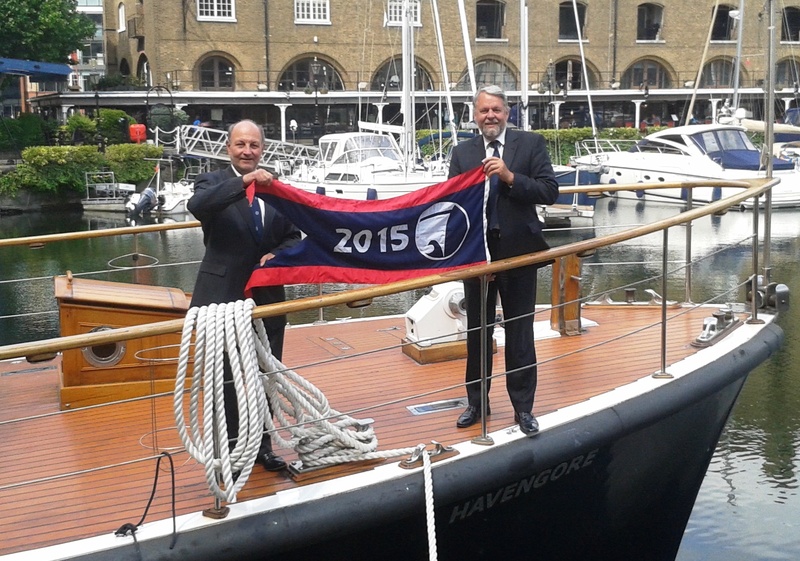 Full alarms were also installed to meet the Maritime & Coastguard Agency's passenger vessel certification requirements, and the HAVENGORE has been offering luxury cruises on the Thames since November 2006. 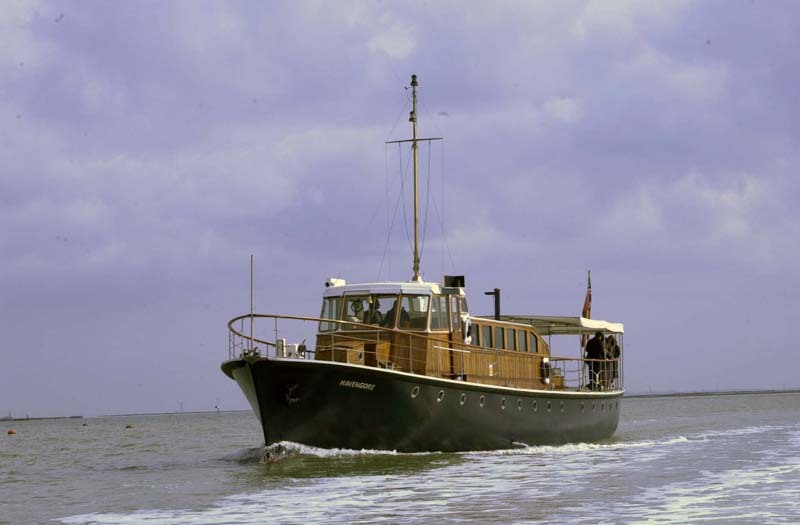 Underwent major restoration work and re-registered as a Passenger Vessel. 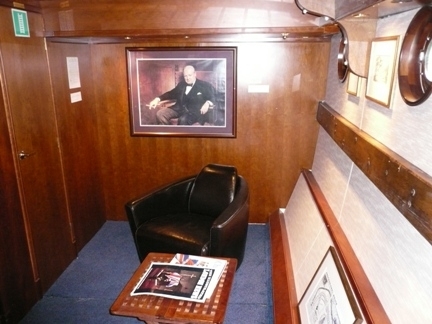 Awarded National Historic Ships' Regional Flagship Winner.